My self motivation is more than ok. Although I try to find a relation between all my ideas/concepts. This week (2 of 8) all of a sudden I wanted to focus and create DigitalProductDesign.co. Why I don’t know, yet. This threw my intention to do a week sprint on my e-book to the dust bin. Will pick it up next week. Full focus. One of my strong suits is that I am autodidact. This is very nice, but sometimes is blocks me from asking for help. I am always trying to improve myself. 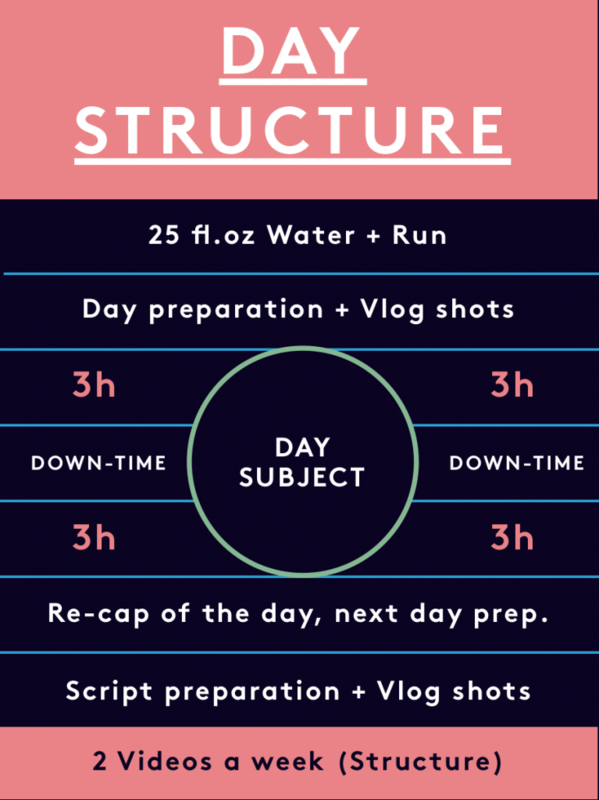 This challenge mostly revolves around caging my creativity and focus on a single tasks. I am 10 days in, and feel I am getting the hang of it. Let’s see what happen if I truly focus on the Design Principles ebook next week (Week 3). I still need to reach out to people and start involving people. I think things will start moving if the first iteration of my Ebook:”Design principles for Digital Product Designers” is out there. Trying to drink 3 liters of water a day. My high-score is 75fl.oz, but I am getting there. Lost 1.5kg (3.3 lb.) last 10 days. Not minding my food much, so that’s really interesting. Need to structure my days better. But things will tune if I focus one subject a day. WHAT PLATFORM IS FOR WHAT? The realtime youtube studio is for my WOLV format. My vlog is an edit. Professional Voice-over tricks applied to your youtube videos. Get that movie voice-over you always wanted! Ok, perhaps using it in moderation is better, but that’s up to you. 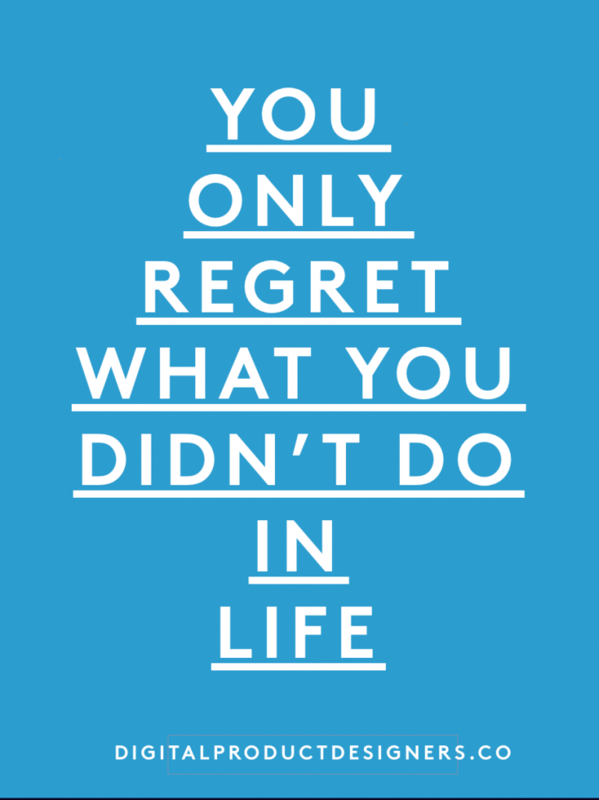 You only regret what you didn’t do in life. DO UX ART DIRECTION FOR A MOVIE WITH A THEME IN THE DIRECTION OF THE FUTURE OF WORK. Sign up for the mailinglist if you want to learn more. Should be in the footer by know. My brain is a concept machine. I have to empty it before I start to produce stuff. Seems I can focus better if I empty it out. Do you know of any other spaces where you can work for a cup of coffee or 2? Why do Chinese spit so much? Often when I run in the park, I see Chinese people, and they are spiting all the time. Even when you buy expensive stuff, the joy and excitement doesn’t last. 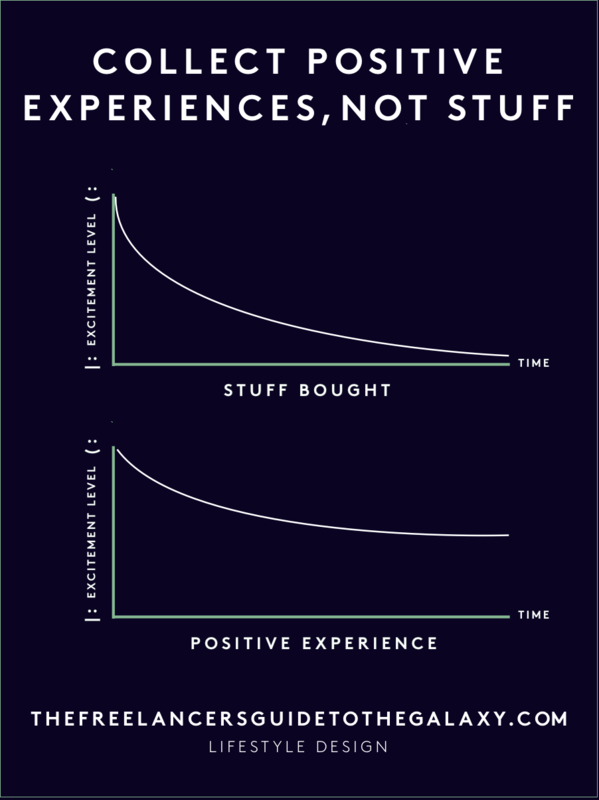 Collect experiences instead. I remember most of my travels, but thinking about the stuff I bought in the past, doesn’t excite me know. If you keep doing what you are doing today. 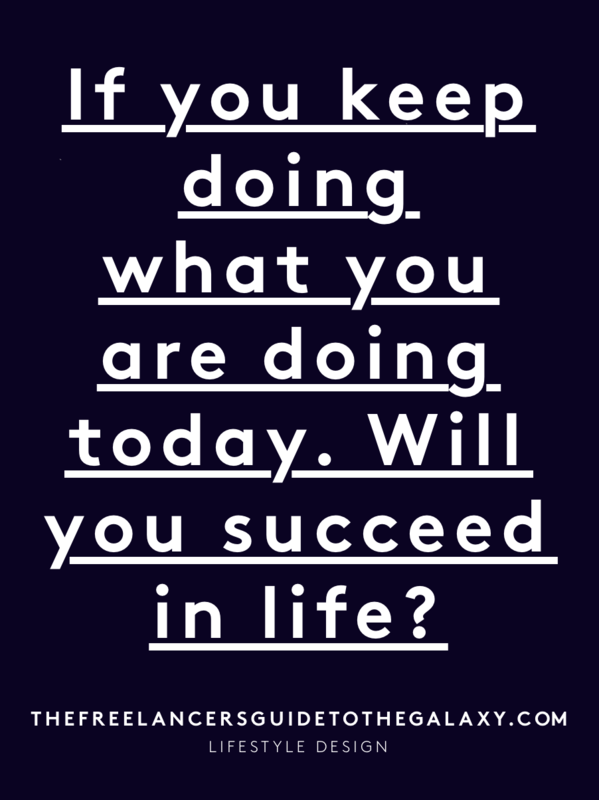 Will you succeed in life?